How do I Resubscribe/Create new Subscription in Paypal ? 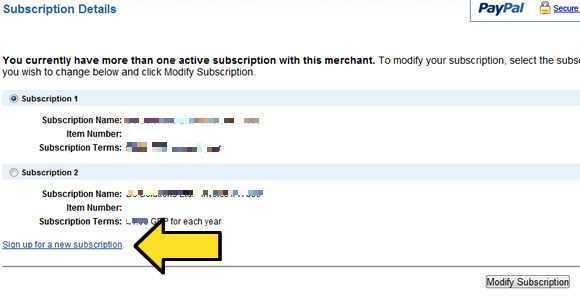 If you have multiple servers with WPOven or if a existing a server have valid subscription running,then if you wish to resubscribe paypal will by default give you option to modify the existing subscription. What you need to do is click on the small text below the options to create a new subscription. To Resubscribe , Go to the Server for which the Subscription is to be created , then visit the billing section of the Server. Use the Re-Subscribe Button to create a subscription again.